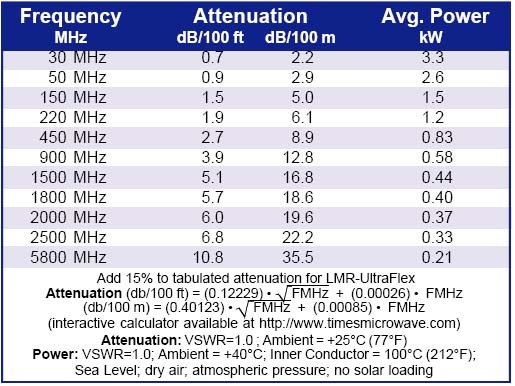 LMR-400 Ultraflex® coaxial cable provides excellent performance for high power HF needs or VHF/UHF applications. Note that it has a stranded center conductor to greatly improve flexibility. 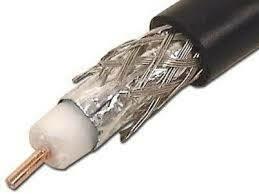 This cable combines superior performance with good flexibility. Centerpins are soldered and not crimped to ensure maximum conductivity which lowers the cable velocity factor and decreases SWR. CPC300 dual wall adhesive tubing is used instead of heatshrink to maintain consistent ultraflex characteristics. The female end is color coded to assist with assembly (yellow can be stipulated for those who assemble in low light environments). The clients' identifier or callsign is also on the label under the clear tubing section. • Can be cut to any length. • Can be ordered with or without N, PL259, TNC, or SMA connectors. 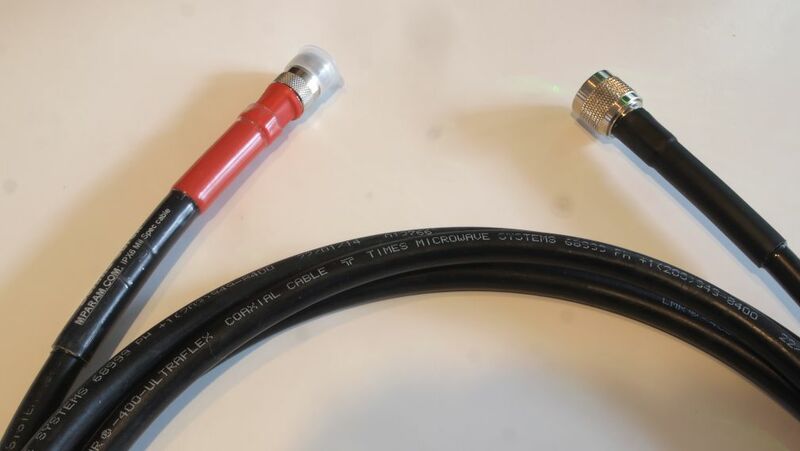 • Connectors can be installed, or not installed.